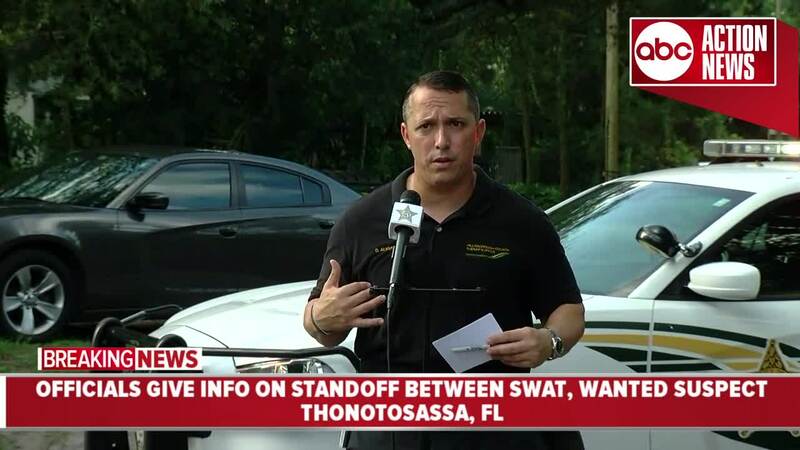 HILLSBOROUGH COUNTY, Fla. — The Hillsborough County Sheriff's Office SWAT team was involved in a standoff with a murder suspect late Thursday night into Friday morning. The Miami-Dade Police Department called the Hillsborough County Sheriff's Office around 9:30 p.m. Thursday night to alert them about a known murder suspect that may be in the county area. Around 1:30 a.m., the sheriff's office found the man in a home on Grandfield Road in Thonotosassa. Around 7:11 a.m. negotiations were started with the suspect and the SWAT team was called out. At 8:23 a.m. the suspect surrendered and was placed under arrest. During the standoff, surrounding homes were evacuated. A nearby school bus stop on Walker Road was rerouted outside of the secure perimeter. Saddoni Dowtin, 31, was arrested and charged in connection to a murder that occurred on July 13, 2018. He faces a second-degree murder charge in Miami-Dade. Dowtin was transported to Orient Road Jail to be booked.